NYC TONITE & UPCOMING - mudd up! It all happens at the American Museum of Natural History tonight! Dutty Artz extended familia IN FULL EFFECT: DJ /rupture, Matt Shadetek feat. 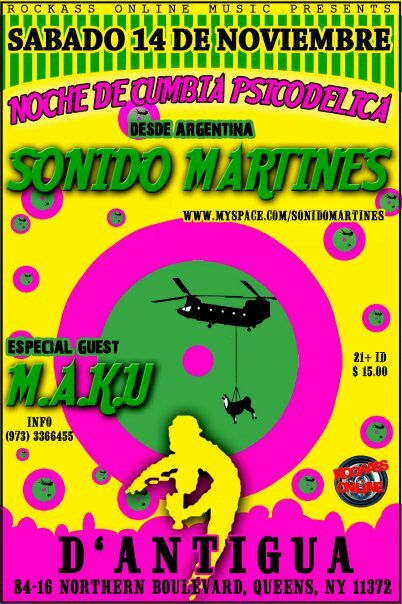 Jahdan Blakkamoore, Sonido Martines, Maluca… 9pm-1am. Price includes admission to the Space Show and a free return visit to the museum. You can buy tickets here. next weekend Matt Shadetek and I’ll be performing at a free-with-RSVP party @ The Empty Bottle in Chicago on Friday November 20th, and then @ the Video Saloon in Bloomington, Indiana on Sat. Nov. 21.
then a few days later, it’s off to Mexico, where I’ll be doing a talk on DUB and 3 shows across 3 cities (Puebla, D.F., Guadalajara) with Adrian Sherwood. Here’s a flyer for the 1st event, a free talk in Mexico City on Thursday November 26. Nos vemos! How do I get in on those free but RSVP required passes for the Chicago night? Thanks, and make sure to order a huarache en el DF-es una comida chilanga muy rica. can you put me on your email list please? 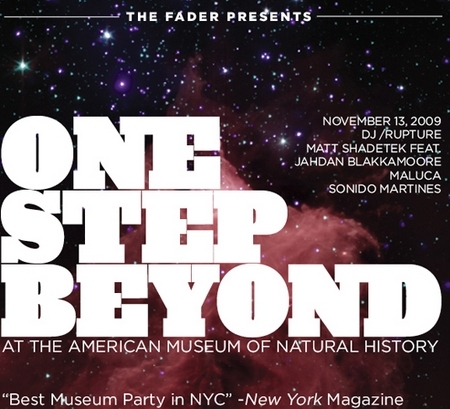 I’m not sure about the etiquette for this, but would it be possible to post a tracklist/audio from the One Step Beyond party? I know you’re super busy, but the music was so great.